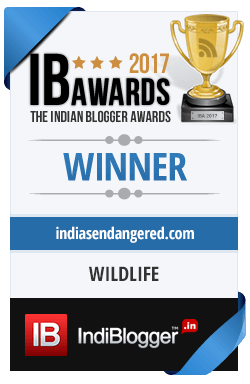 Wildlife (Protection) Act 1972, India. Lion-tailed Macaques may be found at elevations of about 1500 metres in evergreen and semi ever green monsoon forests with broadleaf trees. 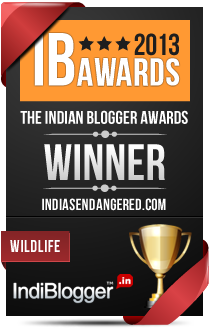 Endemic to India, they are found in the Western Ghats in the South-West. Body Length – 46 to 61 cms. Weight – Males weight between 9 to 11 kgs and females weigh between 7 to 8 kg. Males larger than females and have prominent canine teeth. Lion-tailed Macaques have a black shiny coat with a striking grey mane around the face. They are so called because of their thin tail with the tuft of hair at the end resembling a lion’s tail. Lion-tailed Macaques are one of the smallest and most endangered macaque species. They use as many as 17 different vocalizations for communications and also communicate with body language such as yawning, smacking lips, etc. They feed on fruits, roots, bark, leaves, seeds, fungi, tree frogs, lizards, etc. While foraging, food is stuffed in the cheek pouches which can store as much food as their stomach. Once the pouches are full, they go back to the higher elevations and then eat. They live in groups of 20 to 30 members. Lion-tailed Macaques are polygynous and females generally give birth to one offspring at a time. Less than 2000 Lion-tailed Macaques exist in the wild. Habitat Fragmentation leading to inbreeding which creates weaker populations. Hunting for skin, meat and erroneously as a source of medicine. You can print the information from this pdf- Lion Tailed Macaque.